TIKI, T-DOG & WHATNOT. TRACY MARK LEE, HARDCOVER. SIGNED! 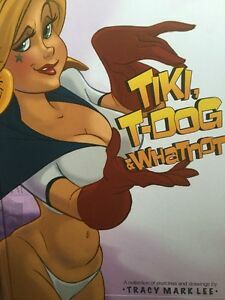 Tiki, T-Dog & Whatnot by Tracy Mark Lee Sketches & Drawings Hardcover. Details about Tiki, T-Dog & Whatnot. Tracy Mark Lee. Hardcover. 2007. SIGNED! RARE!!! Tiki, T-Dog & Whatnot. Tracy Mark Lee. Hardcover. 2007. SIGNED! RARE!! !